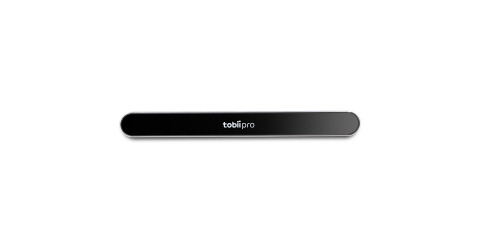 Tobii Pro Nano is our smallest, most lightweight research grade eye tracker, featuring the latest technology from Tobii Pro. It's ideal for those who are new to eye tracking research, or for researchers wanting to take their studies outside the lab environment. 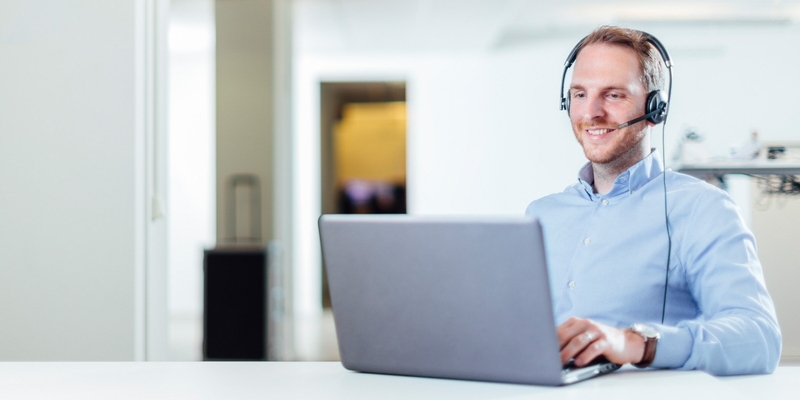 The easy-to-use system lets you conduct quality eye tracking studies with minimal effort and investment. 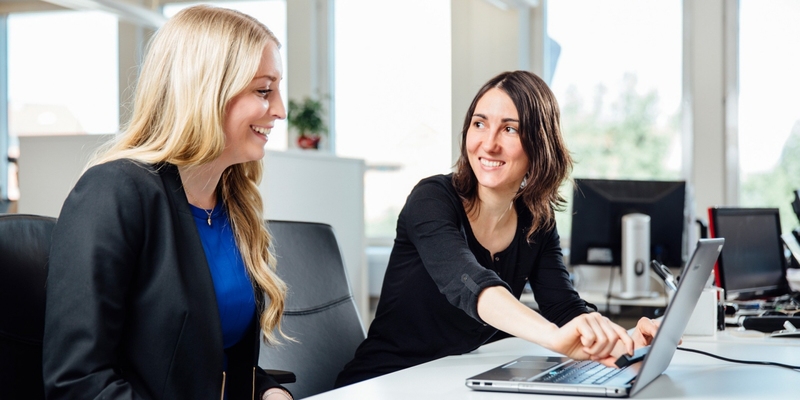 Run tests across a range of areas such as psychology or marketing research and build your knowledge on how to use eye tracking as a research method to analyze visual attention and gain valuable insights. The system shows exactly where people are looking, and with a sampling rate of 60 Hz it's designed for fixation-based research. Pro Nano is designed to use with smaller screens, providing a compact, fully-portable research solution. Present your stimuli on a Windows laptop or Windows tablet for data collection in authentic research environments. Bring your portable lab to schools, hospitals and public places - wherever your participants are. The ability to track virtually anyone, as well as simple setup and configuration, makes the system perfect for running studies efficiently outside the lab. attaches easily with supplied mounting plates on various screens. 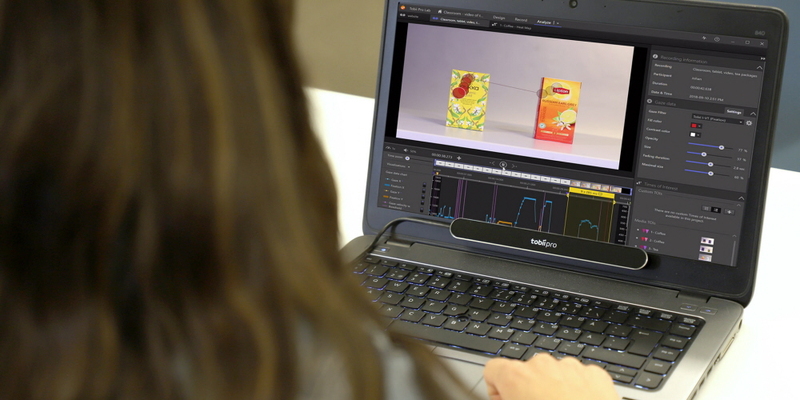 offers fully embedded processing of eye tracking data. connects via a USB port directly to your computer. 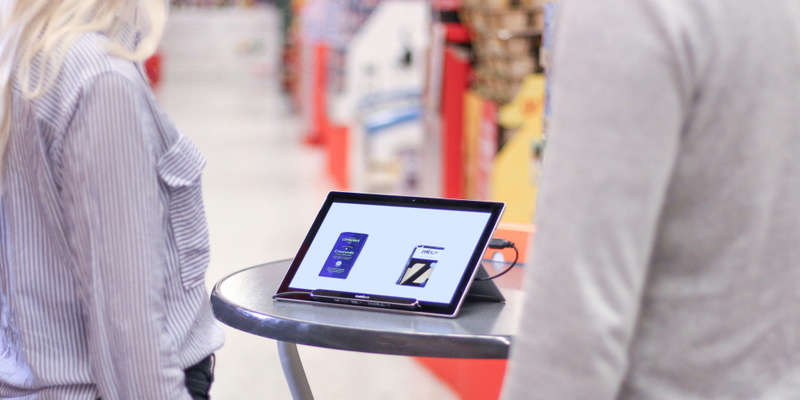 Today’s marketing researchers need to move out of the lab to find answers to their questions and Tobii Pro Nano gives you the ability to combine the strengths of a lab with field studies. Packages are available for equipping universities with portable eye tracking solutions to teach students how to use the technology in different fields. Our experts can help develop curriculums that demonstrate how it can be integrated as a tool to answer research questions and enhance commercial endeavors. Read more about our classroom packages. 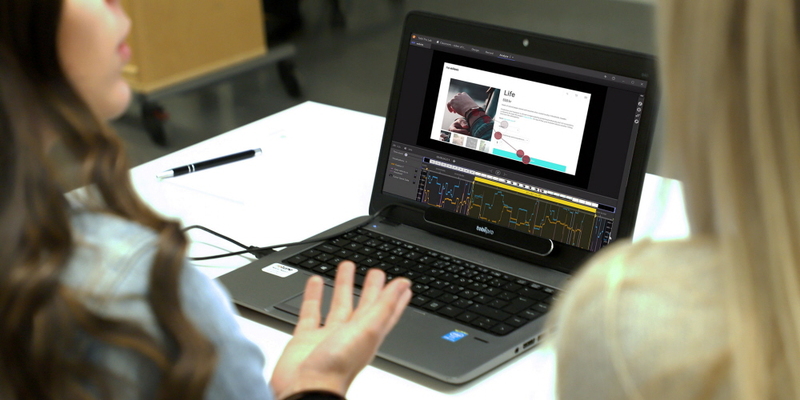 Pro Nano works with Tobii Pro Lab, a versatile software platform designed to meet the highest demands of different research scenarios with exact timing accuracy. This software offers an efficient workflow, making it easy to design experiments, record and analyze data, and obtain eye tracking visualizations. By integrating the Shimmer3 GSR+ Unit, Pro Lab supports combining eye tracking and GSR data, throughout the entire workflow. The ability to send TTL signals on stimulus onset from Pro Lab allows precise synchronization of gaze information with data from other sources such as EEG or ECG. The Tobii Pro SDK offers a comprehensive toolkit for researchers or partners who wish to develop their own applications to use with Pro Nano or other screen-based eye trackers from Tobii Pro. 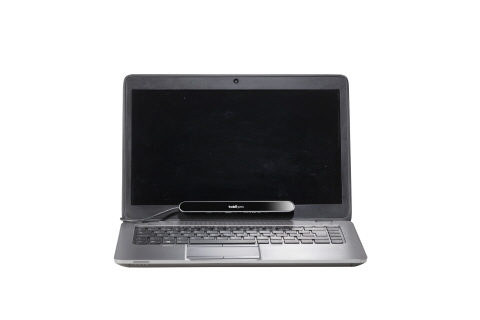 Pro Nano works with Windows laptops and Windows tablets and provides quality data for screens up to 19 inches in size. The system can also be used to study real-world stimuli, such as physical objects or people, which enhances your research opportunities. The system's very high accuracy and proven vast tracking capabilities in many conditions offers a reliable solution for large population field tests and teaching contexts. Pro Nano's high data quality has been confirmed through extensive testing. We use well-documented methods from systematic variations of environmental conditions to a general assessment of the eye tracker's performance within a large sample of individuals. This makes the system suitable for publishing research reports. Multiple product certifications ensure that quality and user safety requirements are met. The eye tracker measures only 170 mm (6.7'') in length and weighs 59 g (2.1 oz.). It attaches to screens up to 19" (16:9) with supplied adhesive mounting brackets for monitors, laptops and tablets. Mounting solutions for use with mobile devices, as well as brackets for larger projections or real-world objects are offered as accessories. Eye tracking technique Corneal reflection, dark and bright pupil combination, one camera system.